And get a deal you won’t believe! Let Golf Safari help you plan your next event! It’s so easy! Just call Cindy at 239-947-1377 and tell her how many guests you’re expecting and any special request and she’ll be happy to quote you a price! Here are our discounted group rates FOR MINI-GOLF ONLY with FREE extra rounds! Sorry, we cannot accept any coupons for these discounted group rates. The birthday boy or girl plays FREE! The birthday boy or girl gets his or her name on our marquee by Bonita Beach Road! Every party guest gets FREE extra rounds of mini-golf! The birthday boy or girl gets a free game token for their next visit! Each party guest gets a FREE toy! Often we can help you store your cake, drinks and anything else you need for the perfect party so you don’t have to do all the work on the day of the big event! Contact Cindy at 239-947-1377 for details. NOTE: Please keep an eye on the little ones. 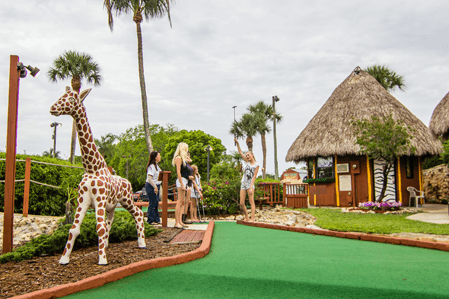 Golf Safari is a big place with lots of distractions for the kids and lots of other guests playing mini-golf. Please make sure your group is supervised. And above all, have FUN! If it’s a fundraiser you have in mind, you’ve come to the right place! 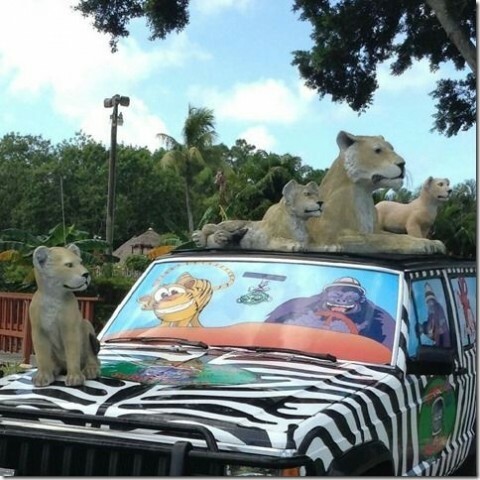 Golf Safari has operated continuously in Bonita Springs for more than 25 years and has helped countless charities raise money. Ronald McDonald House and United Way are just two of the charitable organizations with which we are affiliated. We can help customize a plan that will please both you and your contributors! 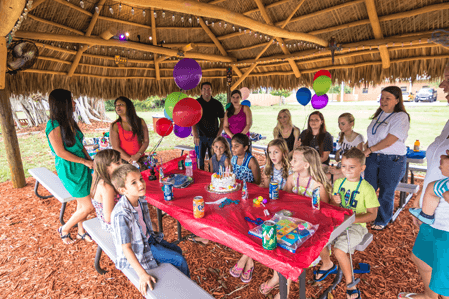 If you need to pitch a party tent, bring a cooker for grilling hamburgers and hot dogs, or have a large enough event that you’d like to have the entire course to yourself, we can do that! Just email Cindy or phone her at 239-947-1377 with the details and we’ll make it happen! A great time will be had by all! Buy discounted gift certificates today! Copyright 2004-2015 Golf Safari, Inc. All Rights Reserved.